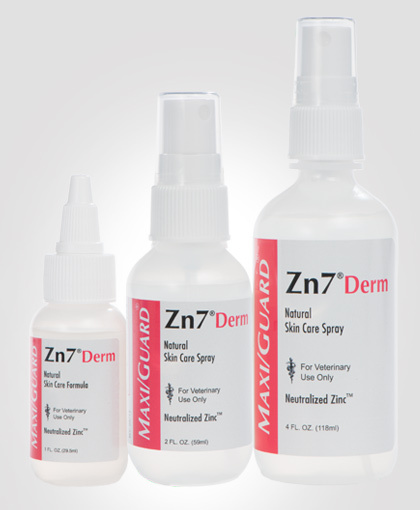 MAXI/GUARD® Zn7® Derm -The industry’s most recognized neutralized zinc based skin care topical. This counter-irritant provides soothing relief from itching and drying of raw skin conditions. This natural neutralized zinc topical is packaged in 1 and 2 ounce soft squeeze bottles as well as 2 and 4 ounce spray bottles. To answer this question, we must ask how calamine lotion, the medical industry’s most popular anti-pruritic, reduces itching. Calamine lotion, used since antiquity (Egyptian development), is zinc-based. Centuries ago, natural mineral deposits containing zinc carbonate were used for the zinc source. Today, a variety of zinc salts (zinc acetate, etc.) are used to manufacture calamine lotion. The zinc in calamine lotion offers modest bioavailability. The zinc in Zn7 Derm, complexed with L-lysine and taurine, is not only stabilized at a neutral pH (the zone of intracellular 6.8 – 7.2pH), but is carried across cell membranes at much higher levels to deliver greater anti-pruritic benefits deep within the skin. A broad spectrum of dermatology cases where you need to reduce your steroid and/or antibiotic demand by using a natural anti-pruritic, skin care topical. Dermatology cases that are slow to respond with hair re-growth. 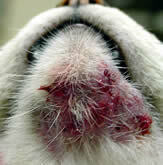 Post-surgery cases where a topical is beneficial to reduce the surgery site irritation and itch. 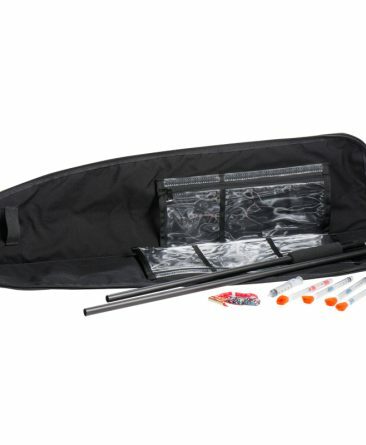 Cases to help relieve discomfort from thermal, chemical and radiological burns. 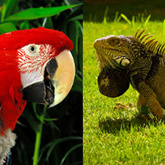 This product is safe for all mammals, birds and reptiles and the client applying it. 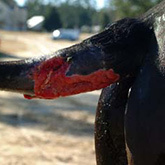 Zinc gluconate and amino acids taurine and L-lysine, have wide margins of safety. 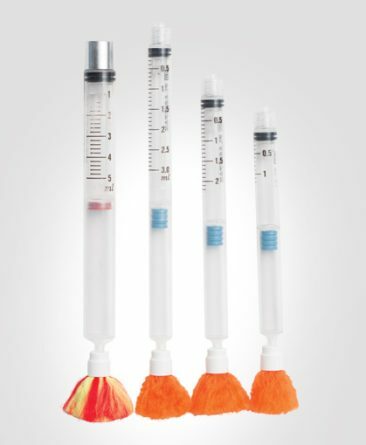 Ingested amounts are below nutritional RDAs (required daily allowances). Zn7 Derm does not sting upon application.